In Stock. Ships the same day. Final Cost! No Hidden Fees. 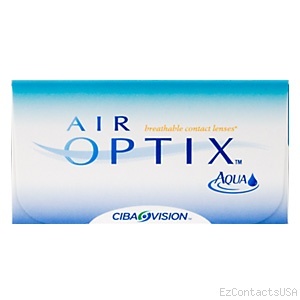 Wearing Air optix aqua contact lenses helps sustain better vision and comfort through one month of wear. Besides, the contacts are produced out of patented lens material which helps minimize the rate of lens dehydration, for comfort all day long. Rich, nourishing oxygen flows continuously through the lenses - for white healthy looking eyes. The Air Optix Aqua offers a natural serene feeling all day long. 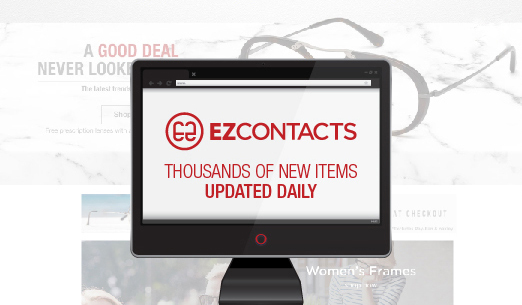 "I absolutely LOVE my rx glasses from ezcontacts! I ordered them online and it only took 1 week for them to get to me. Great quality, great service. Will definitely recommend, and use for all future glasses needs!" "I love my glasses. Keep looking at myself in the mirrow. EZ contacts Staff thank you very very much. Wow the price was exellent. "